One of the joys of scrapbooking is that it gets you in the habit of carrying your camera more. We've hiked at Riverbend park many times now yet partially out of habit I grabbed my camera as we went out the door this morning. 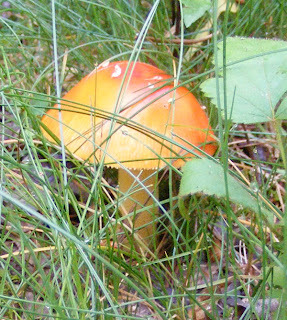 And when we came across this colorful mushroom, Lenny said, "That would make a good picture; you don't see an orange toadstool everyday." Now he would have never suggested that a few years ago. He's getting into the photography act, too. 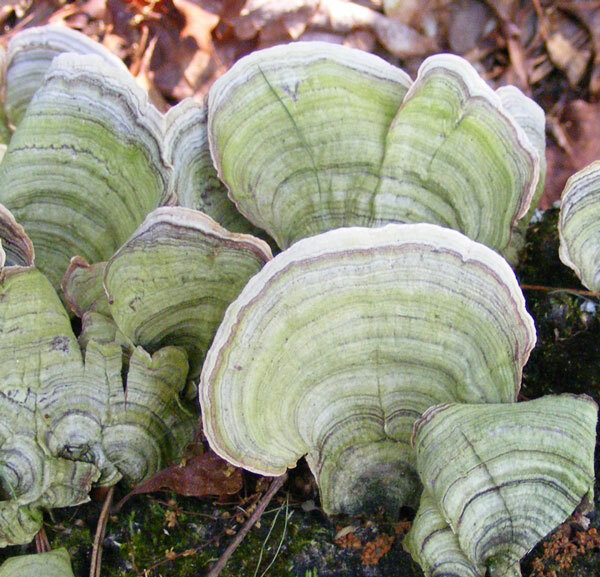 When we came accross a fallen log covered with these shell shaped fungi, he suggested angles for my photo. In the end, I preferred this close-up. They look like seashells in the forest.